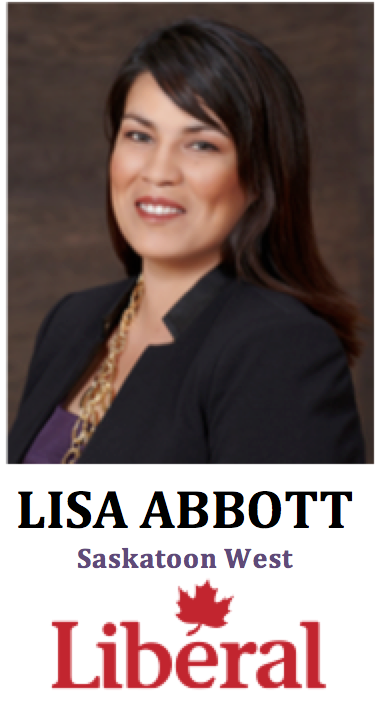 Lisa Abbott is Cree from the Pelican Lake First Nation northwest of Saskatoon. She is the Liberal Party of Canada’s candidate for Saskatoon West. -She was raised in Saskatoon and raised her two daughters while putting herself through law school, where she earned a Bachelor of Laws in 2005 from the University of Saskatoon. 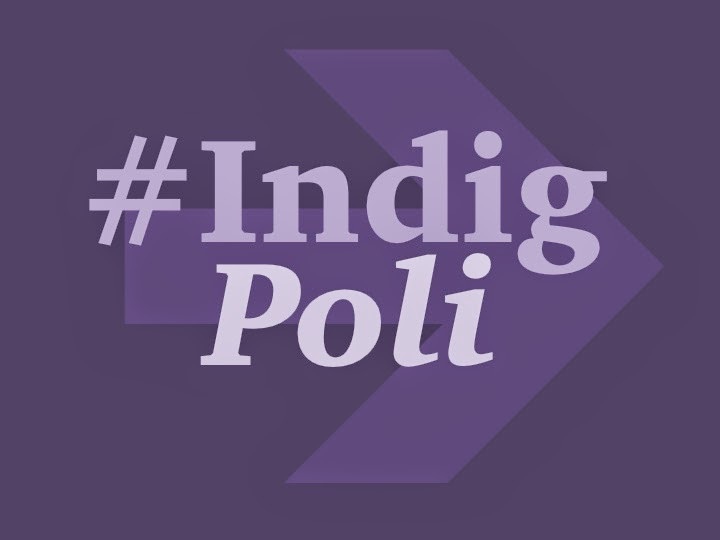 -Lisa moved to Ottawa where she has worked as Senior Advisor to the President of the Native Women’s Association of Canada (NWAC) and the Assembly of First Nations (AFN). Lisa returned home to work as Political Advisor to Chief of the Federation of Saskatchewan Indian Nations (FSIN). -She is a lawyer and businessperson who own her own law practice in Saskatoon, Abbott Law. 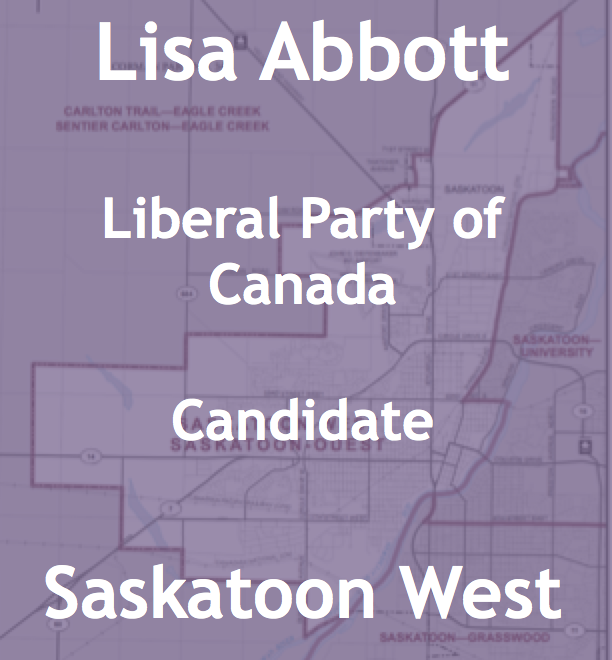 -Lisa is advocate and leader in her community with such initiatives as Walking With Our Sisters and Women Entrepreneurs of Saskatchewan Inc.
-Saskatoon West is a new riding that was created in 2003 from the electoral boundaries commission recommendations that turned many Saskatchewan ridings that previously had an urban-rural mix, into purely rural or urban ridings. 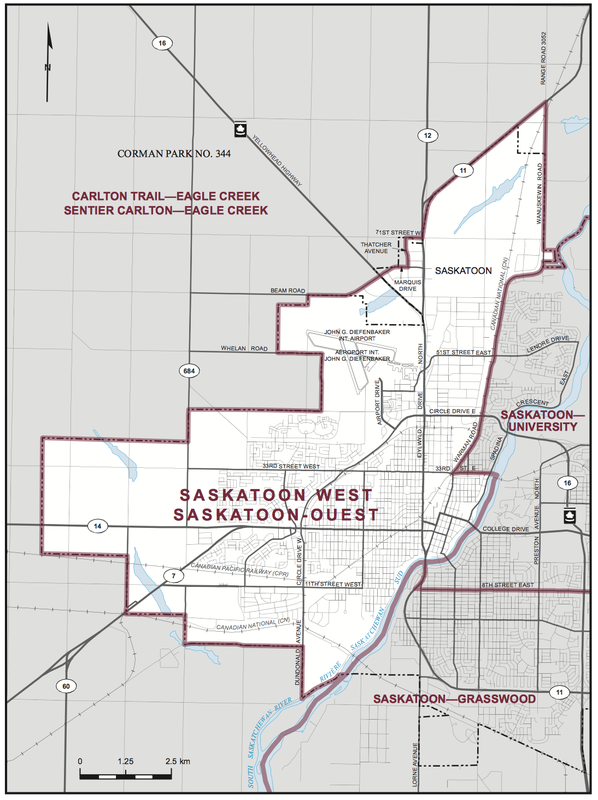 Saskatoon West is the riding made out of the urban portion of Saskatoon-Rosetown-Biggar. The current Conservative MP is Kelly Block is running in the rural riding of Carlton Trail – Eagle Creek. 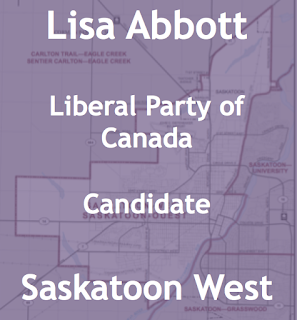 Which means there are no incumbents running in Saskatoon West. 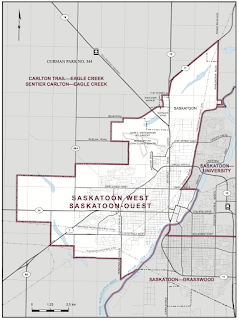 -Saskatoon West has an Aboriginal population of 13,655 or 19.8% (2011 Census), Muskeg Lake Cree Nation and One Arrow First Nation have urban reserved in Saskatoon West.